The push by more owners to tackle succession planning, along with an aging workforce — not to mention six-plus years of rising financial markets — is driving a surge in mergers and acquisitions in the financial-advice industry. But is M&A becoming so commonplace that it should be considered as a staple of every independent RIA’s long-term growth plan? The latest data compiled by San Francisco-based investment-banking consultancy DeVoe & Company finds that 92% of all 25 wealth-firm mergers completed in the third quarter involved an RIA with at least one prior deal to its credit. For the year through September, the M&A specialist estimated 87% of such activity involved firms experienced in making such deals. The data suggests that “more of the established firms are realizing that acquisitions can be a core plank with their overall growth strategy” by planning to do a deal “every year or two,” David DeVoe, the consultancy’s founder, recently told WealthManagement.com. Some experienced dealmakers aren’t convinced. They say M&A tides are cyclical and much of today’s momentum depends on the strength of investment markets. In this light, critics argue that an 18-month jump in RIA dealmaking — even if it’s by some measures record breaking — doesn’t change the fact that mergers are tough to pull off in the best of times. His practice merged last year with the indie RIA run by his longtime friend, Harold Evensky. Now, the firm manages about $1.6 billion, nearly 60% more than the former Evensky & Katz ran as a stand-alone firm. Jeffrey Powell, an advisor in San Rafael, Calif., agrees. Late last month, he completed merging his practice with a smaller East Coast-based indie RIA. The combined firm now manages about $1 billion. 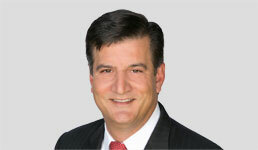 Powell serves as chief executive and managing partner of the newly minted Polaris Greystone Financial Group. Post-merger, Polaris Greystone hopes to grow assets by about 30% through the next 12 months. Instead of relying on M&A for much of that growth, however, Powell plans to take advantage of lessons learned over the past eight years when he focused mainly on organic growth to increase his assets by more than 500%. A steady stream of captive FAs electing to start their own firms should fuel more M&A activity for years to come, points out Derek Holman, managing director at EP Wealth Advisors in Torrance, Calif. Meanwhile, the veteran dealmaker sees industry colleagues taking an increasingly sophisticated view of what goes into pulling off a successful merger. Dealmaking has become so popular that potential sellers can be very finicky about even the tiniest details, according to Holman. And he should know. His 16-year-old independent RIA has made seven acquisitions. In the past two years, though, negotiations with five different potential partners still haven’t produced any tangible results. But, like Foldes and Powell, Holman believes past experience with M&A activity gives him an edge over novices in today’s rapidly consolidating marketplace. What Could Lead to Rising Rates? Is the U.S. Still Best for Fixed Income?